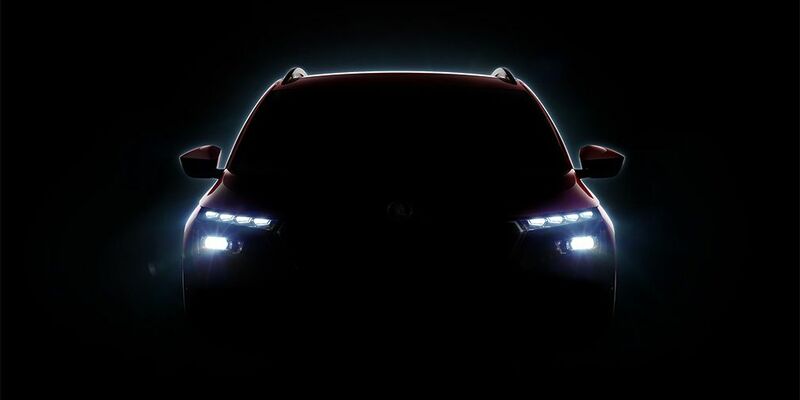 Skoda showed the first teaser of a new compact crossover. Czech brand informs that the car's debut will take place at the Geneva Motor Show. The novelty will be located in the model range of the company below Karoq with Kodiaq. By design, the car looks like a Vision X concept. Make a compact SUV based on the MQB A0. Such a base is present in many compact/mid-size cars, for example, in the Skoda Kodiaq. The remaining data is still completely classified. Rumors suggest that the range of new engines will consist of a 1.0-liter gasoline engine for 3 cylinders. The power of the engine is 100 and 120 hp. More customers will get a car with a 1.5-liter 4-cylinder turbo engine for 150 "horses" and a 1.6-liter diesel engine. The possible name of the cross is Kosmiq.